How to Leverage Live Video on Facebook and Instagram - Hecktic Media Inc.
Over the past couple of years, both Facebook and Instagram have introduced features that let users stream live videos for their followers. Research is showing that these videos are a startlingly effective way of reaching and engaging with followers when done correctly. However, they can also be a disaster if done incorrectly – the last thing you want is to look unprofessional and unprepared on what is essentially live tv. But it is important and if you aren’t doing it already, it’s time to consider how to make it work for you. Let’s take a closer look. Why Does Live Video Matter? It’s widely known that videos garner higher engagement than still photos on Facebook, but live videos actually outperform pre-recorded videos by a large margin. Facebook has not released any official information on this but some independent studies confirm that Facebook is heavily invested in promoting its live videos function, and as a result, it pushes live videos out to more people. So live videos generally receive greater exposure than prerecorded one. Research has shown that people will watch Facebook live videos for three times as long as the do pre-recorded videos. Even better, live videos garner far more engagement than pre-recorded ones, receiving as many as ten times as many comments. Instagram Live is a bit of a different beast due to the nature of the app, but many studies are showing that live videos and Instagram stories are getting far more exposure and engagement than the photo feed. More people now view Instagram stories than use Snapchat – over 1 billion active users. And unlike your photo feed, stories are discoverable, making them a golden opportunity to pull in new potential fans. Live video can be extremely useful for brands looking to connect with their audience. In one survey, 80% of customers said they’d rather watch a live video by a brand than read their blog. 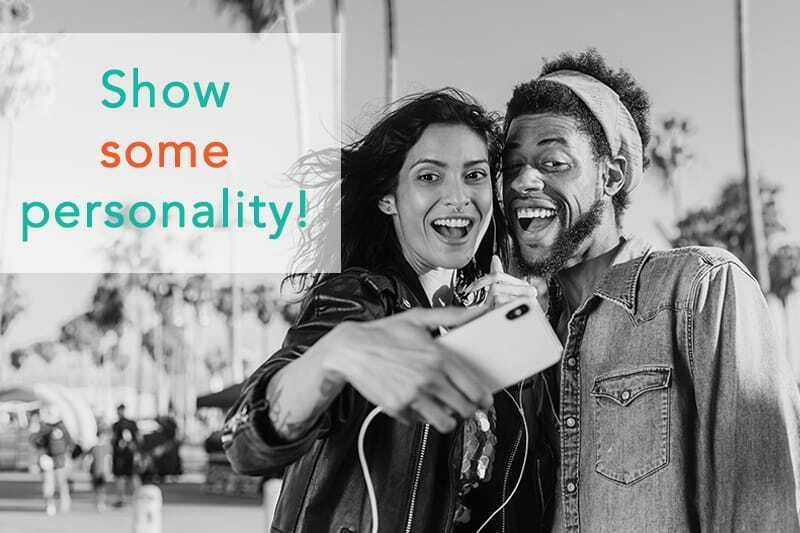 It’s a great way to show some personality, build relationships and brand identity. The stats are compelling but, as with everything social media related, it’s important to think hard about your medium. Live video isn’t the best in every situation and there are some drawbacks. For starters, with a live video, you have less control over the content and script. It can be difficult to create a polished experience or deliver a well-calibrated message live. Crafting compelling videos on the fly is a skill that can take a while to master. Second, if you create a live video on Instagram or Facebook, then that video can only reside on that platform. If you pre-record a video you can upload it in as many places as you like. Additionally, on Instagram, live stories disappear after just 24 hours. If you are trying to reach multiple audiences or get the most mileage out of your video pre-recorded might be a better move. While both Facebook Live and Instagram Live operate on the same principles, they have some distinctions that can help you know which to use when. When you go live on Facebook many of your followers (but not all) receive a notification. Anyone who goes to your page will immediately see the live video taking place. Once you finish recording Facebook gives you the option of saving your video to the site, so that people who missed the initial broadcast can still view it. You can even download your video and use it elsewhere. Facebook analytics can give you detailed information about who watched and for how long. Instagram Live also notifies your followers when you go live, and it gives your live video priority in the “explore” section of the app, which is an excellent opportunity to pull in new fans. The biggest difference is that once you end your live video, it only stays in the feed for 24 hours before disappearing forever. While this can create a sense of urgency for viewers to watch your video RIGHT NOW, it also means that if your fans miss it, they really miss it. Additionally, the only analytics you can access is the viewer count. Facebook lets you go live for up to four hours, whereas Instagram only allows live recording for an hour at a time. Additionally, with Facebook, people can watch your video from any type of device: laptop, tablets, phones etc. With an Instagram video, people can only watch via the mobile app. 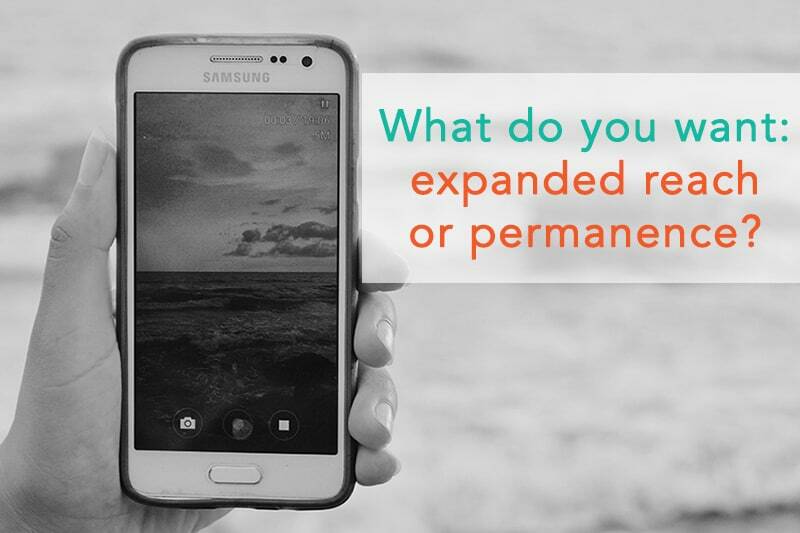 So you need to decide what you want from your video: expanded reach, or permanence? What are Some Best Practices for Live Video? Know what you want to say and do ahead of time. Dead air feels ugly in any medium so go into your video with a plan. Make your videos an extension of your brand. 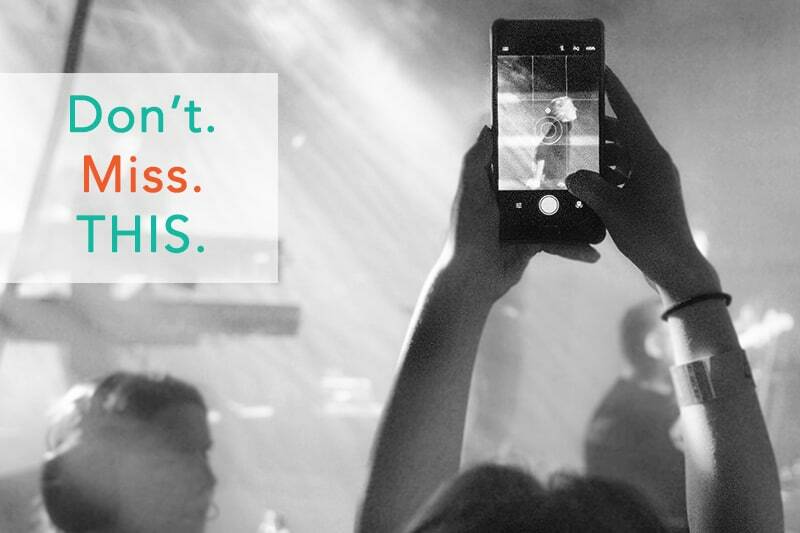 View live videos as an extension of the kind of social media content you already offer. Consider ideas like going behind the scenes, a q+a, an interview with someone important, or a how-to video. Engage with viewers in real time. One of the major advantages of live video is it lets you interact with your fans via the comments. Respond verbally to comments and questions as you go. Prep your environment. Make sure your background isn’t too distracting or loud, the audio is clear, and the lighting is good. Embrace the urgency. Give people a reason to tune in, like a live giveaway, a sneak preview or a big announcement. Make it so people won’t want to miss it! Always save your video when you are done recording. You can get a lot more mileage out of your video by saving it so others can view it later. Give your video a catchy and informative title. Viewers are more likely to watch if they know what you are doing. Additionally, most viewers come in in the middle, not at the beginning of a live video so an informative title helps them know what is going on. Tag relevant people and accounts after the fact. Tag anyone you mentioned or featured in your video so that they have the option to share the video as well. Give a warning that you are going live. Let people know when to tune in and catch you with an Instagram picture or story post ahead of time. Use the commenting feature. Instagram allows you to pin certain comments, so they show at the top of the feed. This is a great way to highlight a compliment or extra information. Live videos are certainly hot right now, but like everything in social media, it’s impossible to know if they are the way of the future or just a passing fad. Live video is certainly worth trying for your brand and testing what kind of results you receive. Just remember to plan your content ahead of time, and have fun with it! Yes, we do social media management for travel brands too! (And we’re damn good at it, if we do say so ourselves.) Talk to us about how we can help expand your digital footprint.